Size Options 5x5" To 8x8"
Our new Desktop Box Frame is a development of the hugely popular Wall Display product, the Box Frame. 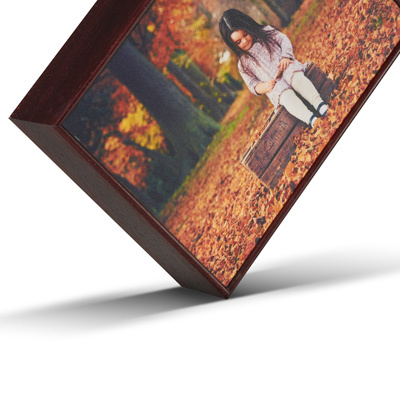 Click, 'Buy Now' then select any size Box Frame up to 8x8" and you will get the option to purchase your Box Frame without a hanging kit. Using our award-winning photo printing team, a Fuji DP II gallery grade print is made of your chosen image, bonded onto a 3mm MDF board and then an anti-scratch film is applied to the front of the print for protection. This ‘picture block’ is then sealed into a 50mm deep textured wooden frame to create a classical 3D effect. You have the choice of five natural wood colours to choose from: Black, Mahogany, Pine, Bare Ash and White. 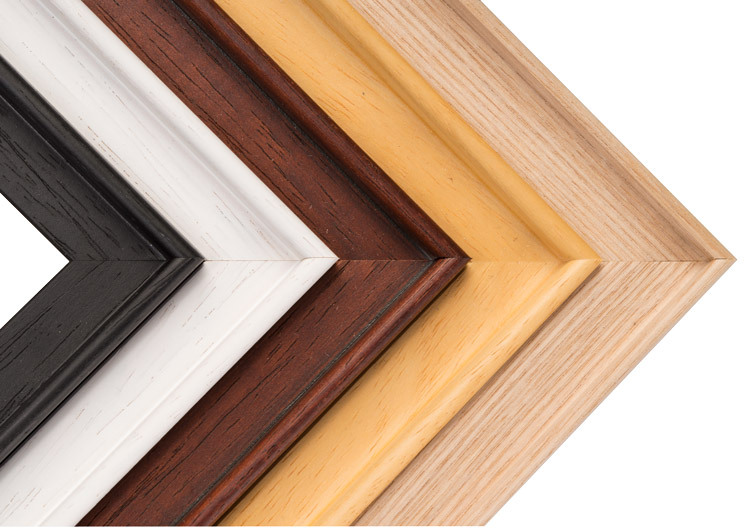 As the product title suggests, the wide frame moulding is perfect for standing your new Desktop Box Frame on your desk, mantelpiece or windowsill.